Yes…nothing tastes worst than a chewy, rubbery pizza base…no matter how good your sauce or toppings are!! The base or the crust, must have the perfect balance of flavour, airiness & should be light! That is obviously achieved by using yeast in the right proportion & proving the dough with great care. And I have finally perfected the recipe for a perfect pizza base! Learnt the trick from A Spicy Perspective! A few trials & errors have taught me something very important – proportion. It’s the key to getting perfect results! I was so driven to perfect it…that I finally bought a proper kitchen weighing scale too 😬 ….something that I had been putting off for almost an year! The results are for you to see! 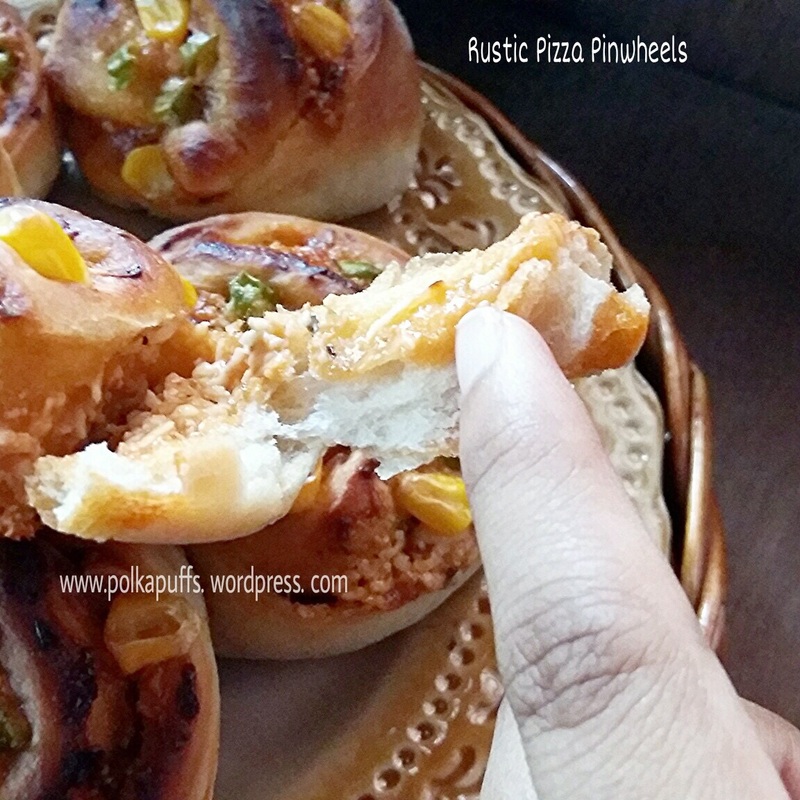 A perfect crust with soft, pillowy texture within… I have used this recipe almost thrice now & I am happy each time! So I thought of making something which was lying in my Pinterest folders for the longest time ever! 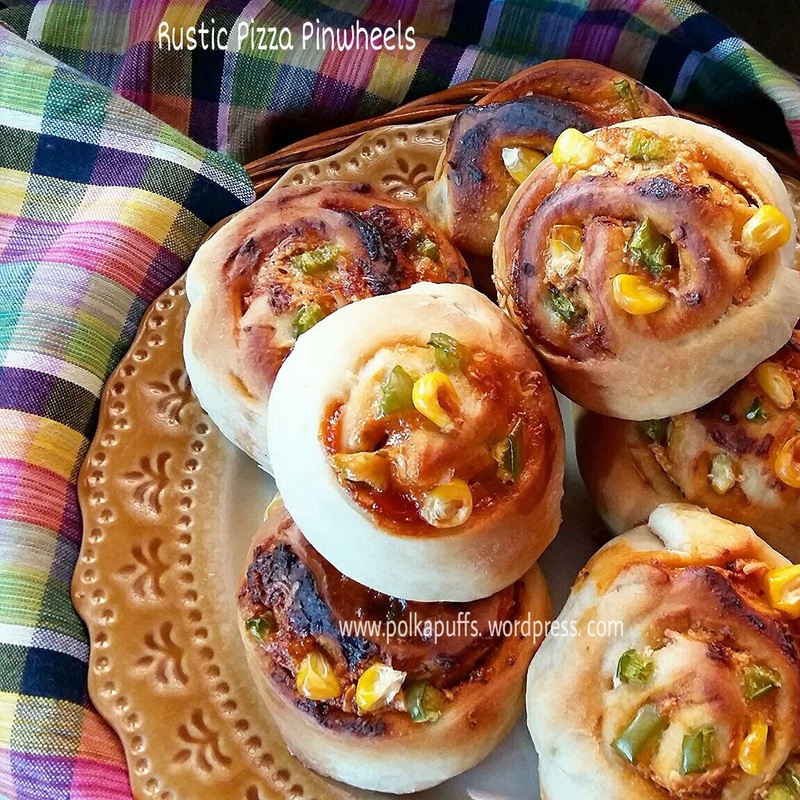 Pizza Pinwheels! I did my take on it and made a bit Rustic..! 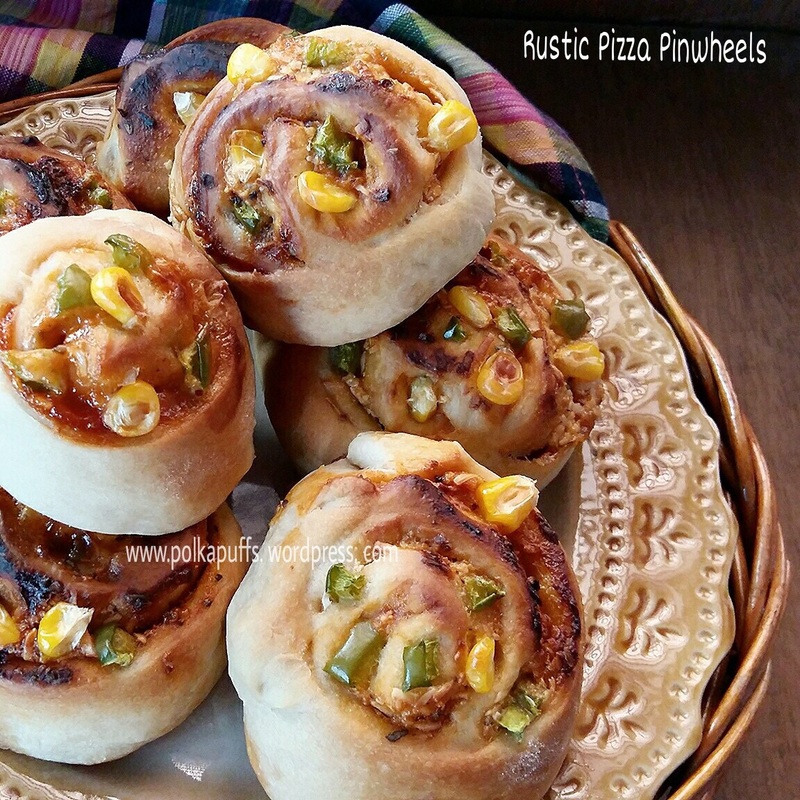 Hence, Rustic Pizza Pinwheels! The recipe for the base is adapted from Nita Mehta’s cookbook with a slight change in the ingredients & proportions as well. I did watch many YouTube videos to understand the kneading bit over the last few months!! 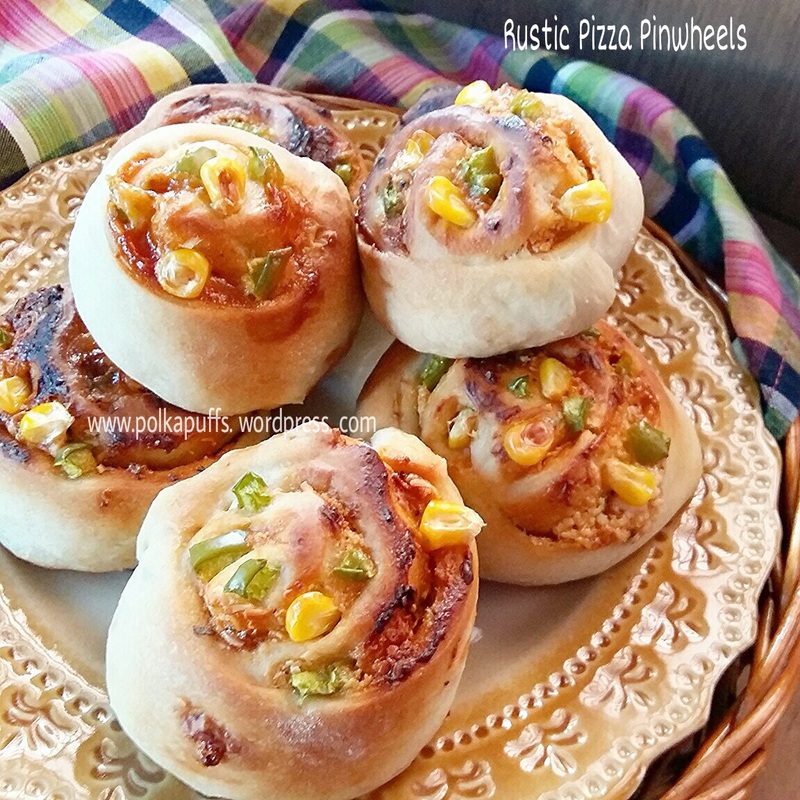 😀 So, to make the Pinwheels happen, I followed the recipe for the base & then worked on it with some sauce & fillings of my choice! 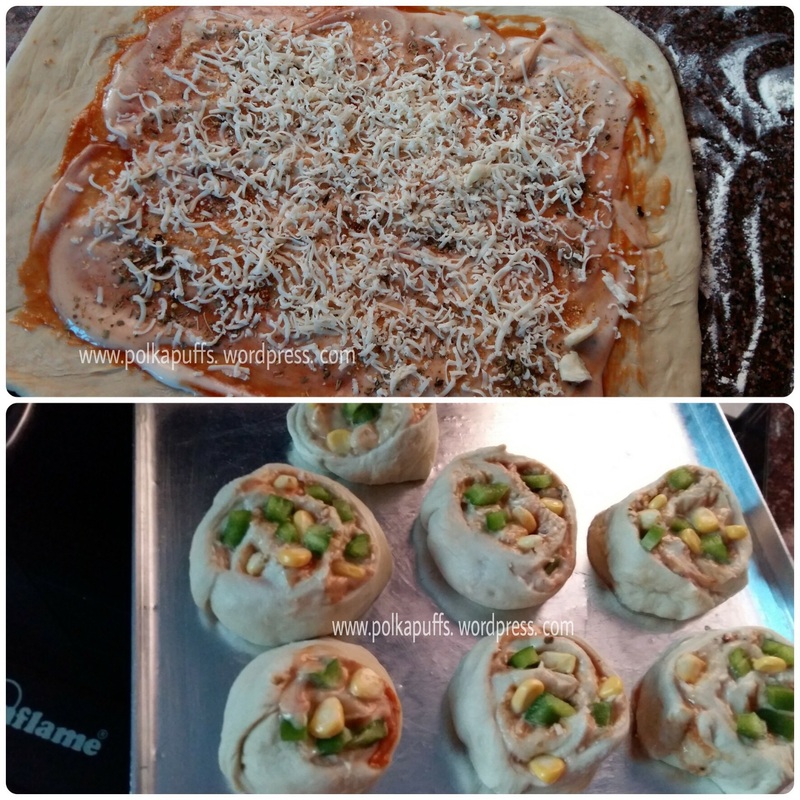 Pizzas can be so versatile…just play with the toppings…infinite options👌I like my pizza simple…you can easily alter them as per your preference…you can add non-veg fillings as well..or keep it simple with just the sauce & some cheese 😄 Let’s get started with the recipe…. Equipment: 1 large mixing bowl, a small bowl, a fork, a rolling pin, a sharp knife, measuring cups/ spoons, baking tray, cooling rack. Take warm water in a bowl, add the sugar and yeast to it. Cover it and leave to prove & froth for 10 mins in a warm place. Next, in a large mixing bowl, add the flour, 2 1/2 tbsp oil, salt to taste. Now add the entire proved yeast mixture & using a fork mix everything together to make a sticky dough. It will be very sticky but should not be falling apart at all. Now, sprinkle some flour on a work surface, and drop the dough on it,sprinkle some more flour over the dough. 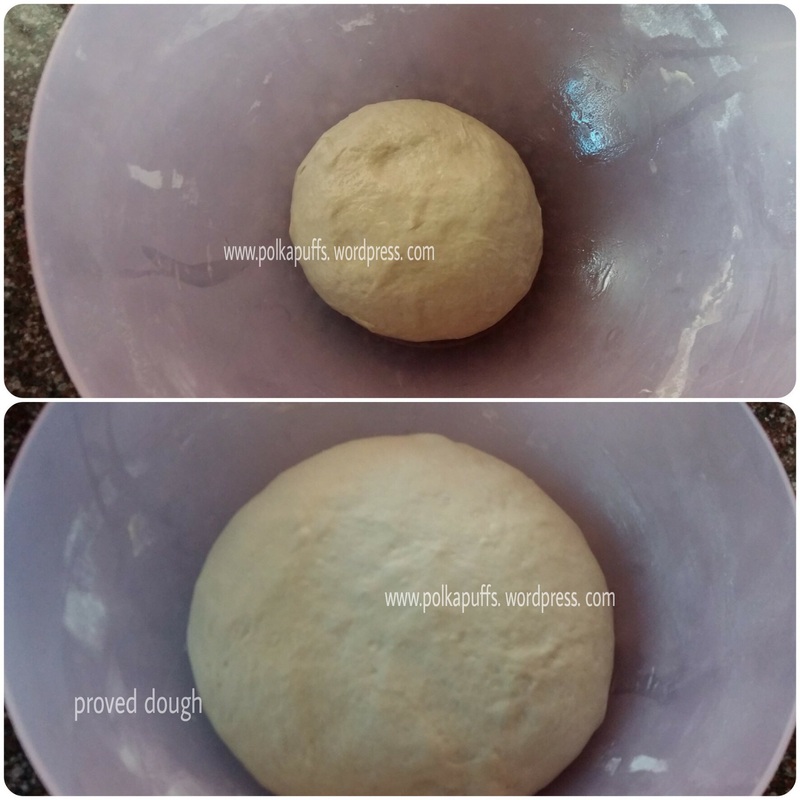 Using your palms, start kneading the dough well. Add more flour if the dough feels too sticky or some water if it feels very dry. Keep kneading well for 10 mins. You will have a neat, non-sticky ball of dough. 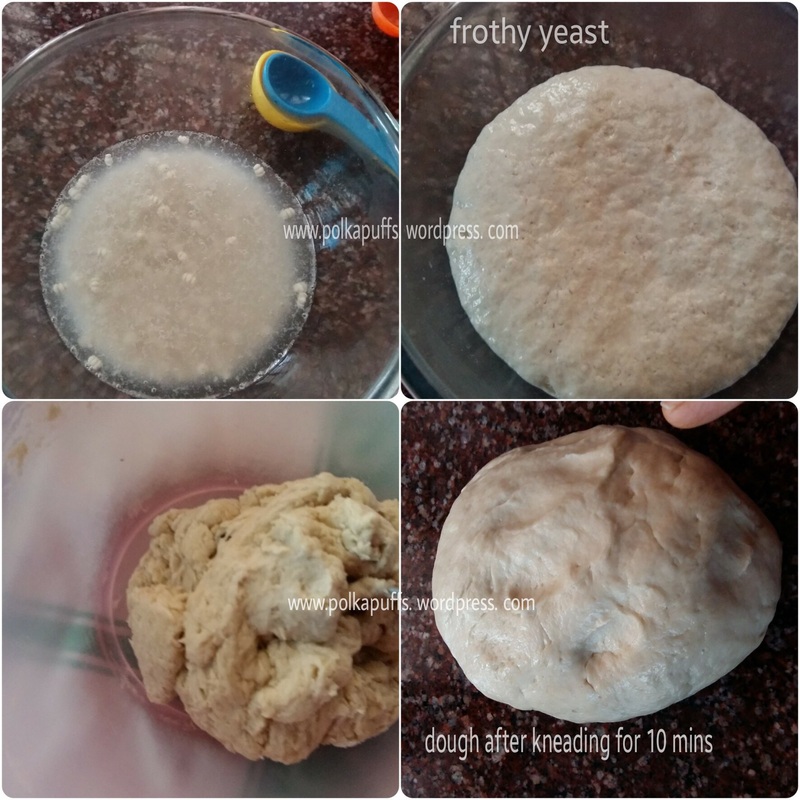 Knead it for a couple of mins more. It should all look like this. In the meanwhile, pre-heat the oven at 210’C. Now, punch down the dough, and knead for a min. Then again sprinkle some flour on the work surface & using a rolling pin, roll the dough in a rectangular shape. The thickness should be about 6-7 mm. Dust it with some flour again. Now leaving an inch space on all four sides, spread some pizza sauce, top it with mayonnaise, then the garlic pwd, Italian herbs, salt, grated cheese & some veggies of your choice. Flatten them out carefully. And start rolling from one end, carefully so that the dough doesn’t tear or the filling shouldn’t spill out. Seal the edges by pinching them together. Next, using a sharp knife, cut pinwheels of about 1 1/2″ thickness. Make sure the fillings don’t spill. Grease your baking tray with some oil. Place these pinwheels carefully a little apart from one another.